A reform project to create a retreat in the countryside in Casares became a reality for one of our clients. This is the story of Charlotta Östing, Dr of Naprapathy. 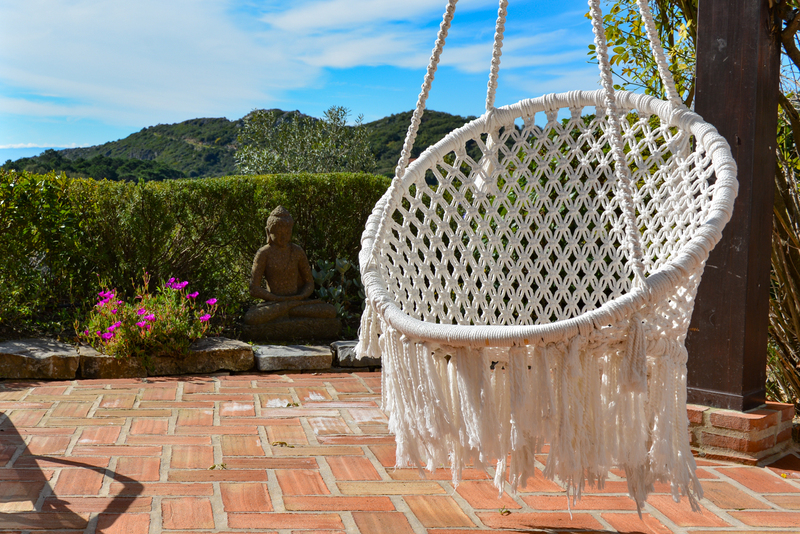 She fell in love with the mountains and started looking for a country property in Casares. None of the houses we offered for sale fitted her needs. Driving through the area El Jaral she suddenly realized she had to buy the location, with the possibility to create her dream. She bit the bullet and took on the challenge of bringing a house up to standards, and it is now a cosy and unique home and a fantastic retreat centre on a spectacular location in the mountains. Charlotta was already living and working in Spain and was running a very successful naprapathy-pain-treatment centre in Marbella. She was also giving yoga classes and offering acupuncture sessions. It was her dream to find a country property, to live and work in nature, and to share the peace and tranquillity of that setting with her clients and patients. There she could expand her services and treatments and even offer 4-5 day retreats including yoga, meditation, super healthy food and of course a tailor-made treatment. Charlotta had been looking all over Andalusia, every Sunday was a different road trip to embark on. From the Costa Tropical to the Costa del Sol, the inland pueblos blancos and towards the Costa de la Luz. However, she was always more drawn to the Casares area. “Being Swedish, this area reminds me so much of Sweden. The pine and cork oak forests, nature is just so much more inspiring to me here than anywhere else in Andalusia!” says Charlotta. “I had worked with many Spanish estate agents, yet they didn’t seem to understand what I was looking for, nor were they aware of the legal status of the properties! It was not easy for me as a blonde, foreign woman! I figured that, unless I had an uncle in the Ayuntamiento, it was not going to happen! Until one of my patients told me that for country properties, I MUST ONLY contact Villas & Fincas; they are the ones!”. Her first viewings with Villas & Fincas were still with mixed feelings. Casares was lovely, yet none of the houses fitted her needs. The first house she viewed was actually the house she bought in the end. Yet when we arrived at the house, it was not what she expected. The house was old and begging for a reform. That was not was Charlotta was looking for! It would be so much easier to find a property that would be ready to move in and start! Driving around ‘El Jaral’ after the viewing, she asked to stop the car. She was absolutely taken by the stunning setting, this was exactly what she wanted. The atmosphere, the location, the views; In her own words: “These spectacular mountains, this was it, as close to the angels as you could get, I instantly fell in love “. Even though she kept looking, there was nothing else for sale like this. She had to turn a switch in her mind, to see it as an opportunity to reform this country house into her dream home. It took one and a half years to complete the reform project. Working Sundays, with 10-15 workers hammering, drilling, painting, tiling… Anything and everything you can think of needed to be addressed. They were working from sunrise to sunset. The electricity was upgraded, underfloor heating was installed, floors were renewed, windows were changed, the kitchen was restyled completely, a new room with bathroom was created, the treatment room was transformed into a light and comfortable area with direct access from the outside. And the final project was re-building the old ‘casita’ into a comfortable room for the retreat guests and establishing a full organic vegetable garden. A hell of a job, but boy was it worth it! 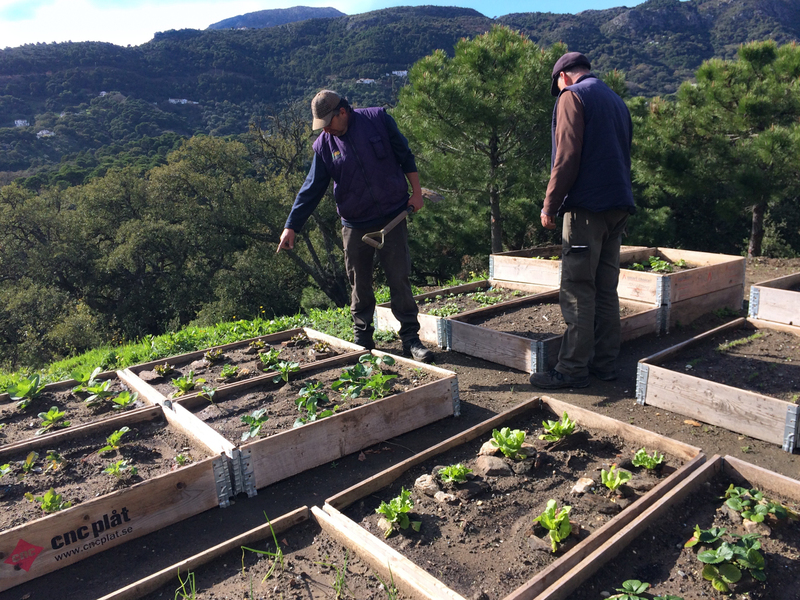 To sit on the terrace and watch the sunset over the Sierra Crestellina mountain, enjoy a nice afternoon picking your own vegetables, it’s a privilege. 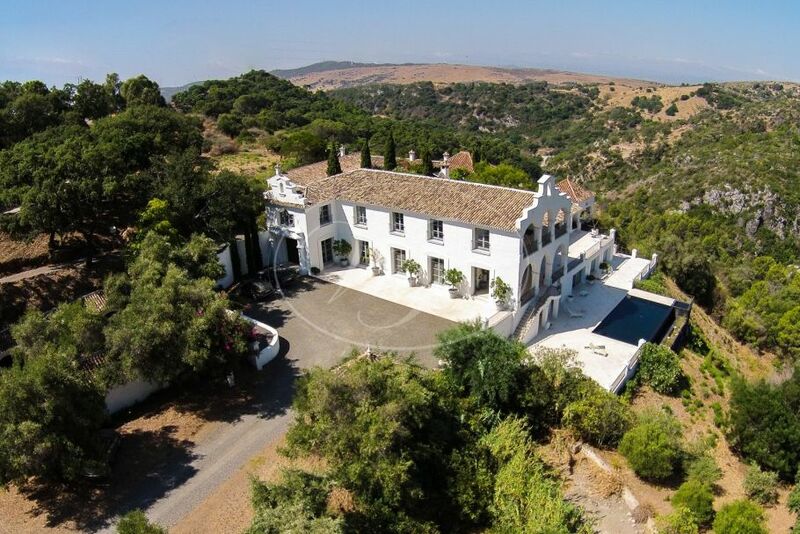 For someone who is thinking of buying country property in Andalusia, our advice is to be open-minded. The current legislation with regards to building on rustic land is quite restrictive. This also means that the supply of properties is very limited. More than often the dream property our clients have in their heads doesn’t exist, it has to be created. There are many opportunities and you need a vision and guts for sure! It may be brain rattling at first, but with perseverance, hard work and guts, everything can be achieved! As Charlotta has experienced, Villas & Fincas can bring you in touch with a variety of specialists as architects, builders, gardeners, cleaners, floor specialist, engineers,… And once they are working with you they introduce their contacts to help you to resolve any problems that arise during the project. For Charlotta, it feels like being part of a new extended family, who welcome you in their community. And these relations are worth gold! That is the heart of the Andalusian lifestyle. Charlotta Östing is a Dr of Naprapathy. Naprapathy is derived from osteopathy and chiropractic medicine. It is a holistic approach to wellness that focuses on connective tissue disorder. Besides her practice in Marbella, Charlotta is now working a couple of days a week from her finca and also organizes retreats a few times a year. As her job is a lifestyle, she is continuously updating her knowledge and enjoys every aspect of learning. Along with naprapathy treatment, she also offers acupuncture and yoga, to mention just a few. 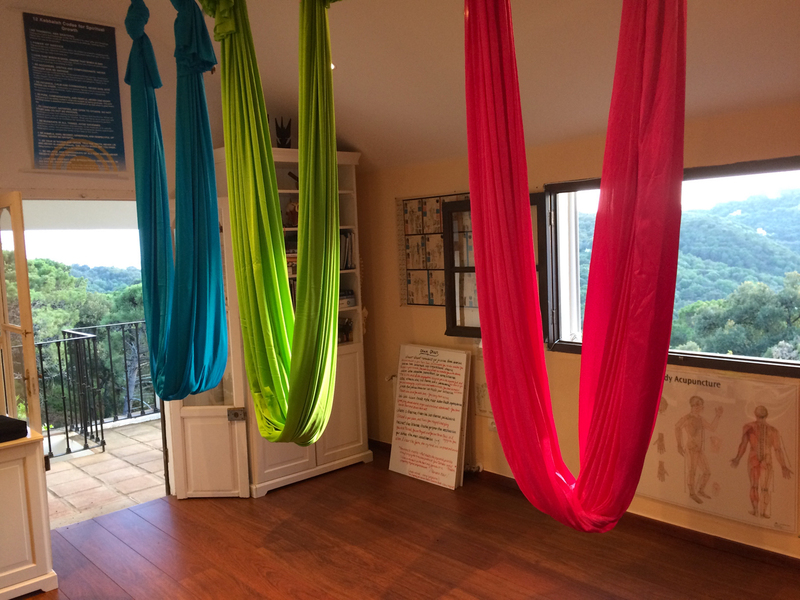 Also, you can experience the tranquillity and atmosphere in Finca Isidora, by attending one of Charlotta’s retreats which includes dancing, outdoor activities, meditation… For more information or to arrange a treatment, please visit her website.